While continuing to pursue his dreams day in and day out, he can’t help but share his passion by teaching others in the swimming world how to become better swimmers themselves. 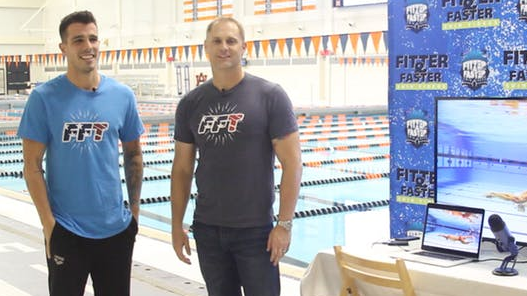 Through detailed technical instruction, Fratus and his coach—former Australian Olympian Brett Hawke—have partnered with Fitter and Faster to share their path to success at clinics and on the Swim Videos on Demand service. While we tend to think of the best in the world as “untouchable,” nothing can be further from the truth in the case of Fratus. 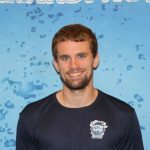 He welcomes people with a charming smile and light-hearted attitude, loving every opportunity to work with developing swimmers. Fratus humbly admits that he has not been graced with “super-human genetics” or freakish physique; instead, he relies on his unprecedented commitment to training every facet of elite performance. Whether it’s diet, strength and conditioning, technique or psychological training, Fratus delves deeply into all aspects of world-class performance. 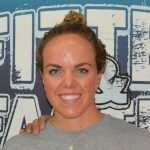 On the Swim Video on Demand series, Fratus and Hawke enlighten swimmers and coaches to key creative drills and skills. Some may surprise you, as this dynamic duo is not afraid to take risks by trying new methods. Fratus is a confident and effective communicator, and his skills in the water are unmatched. He covers all aspects of decreasing drag, increasing power and propulsion, utilizing proper head positioning, practicing efficient breathing, finishing effectively and so much more. You will not regret investing in your swimming success by learning from his demonstrations in person and on the Swim Videos on Demand serice. With an app that is accessible from several devices, coaches and swimmers have direct access to the best training content poolside. Just incorporating one training technique from his expertise could lead to ground-breaking changes. Why continue to mindlessly train when you can commit to improvement now? Bruno Fratus is a featured clinician on our Swim Videos on Demand app. Click here to learn more about Swim Videos on Demand.